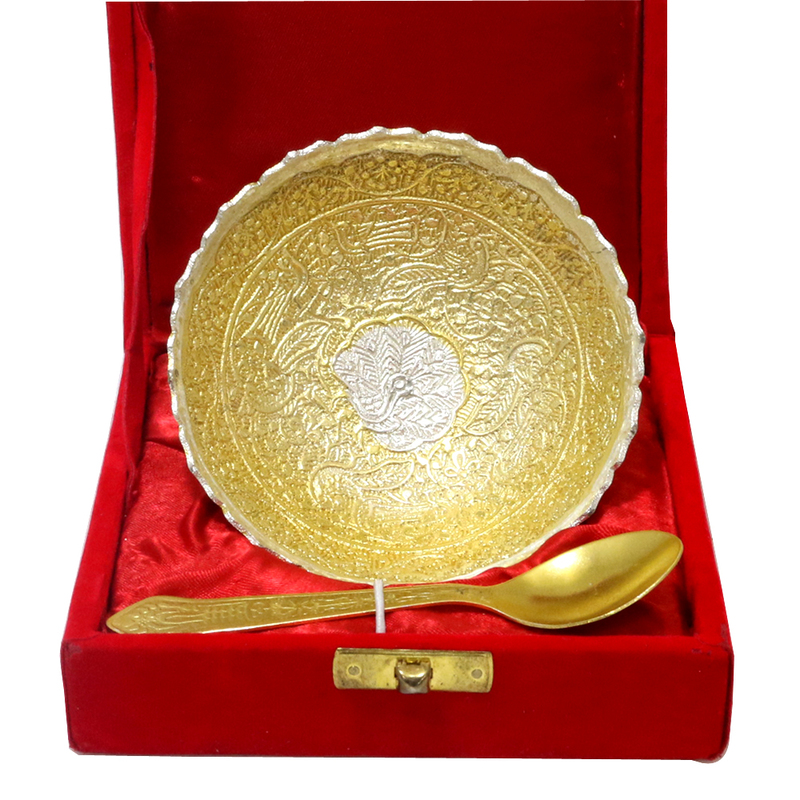 Love modern art and fancy chic silverware? 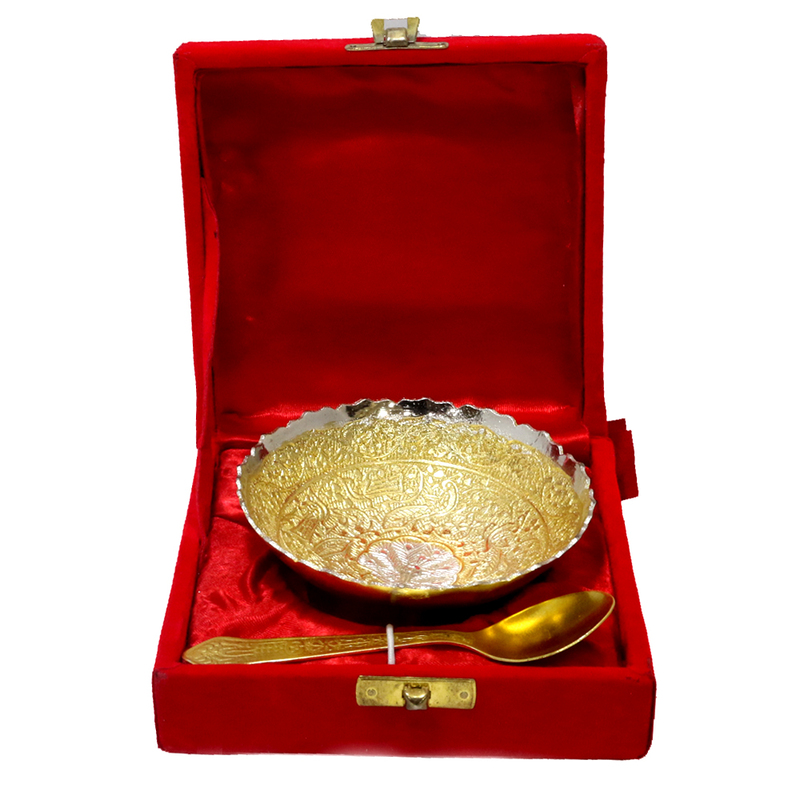 Then this german silver made two tone bowl and spoon combo is for you. The play with shade Read More..here is praise worthy and the minutely carved out details are mesmerizingly appealing to the eye. Show Less..